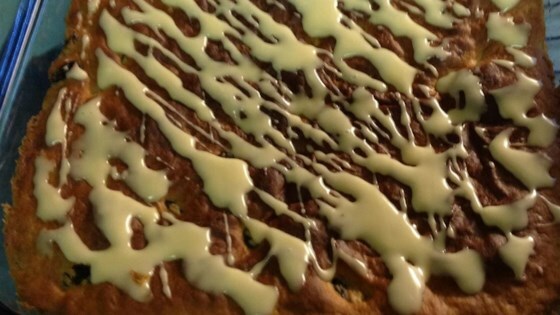 "A cinnamon raisin batter bread with a sugar glaze just like the school cafeteria used to make. It is a yeast bread baked in a sheet, and cut into servings after cooling. This recipe has been passed down for generations." This batter bread was okay. It didn't seem sweet enough and could have used more cinnamon.